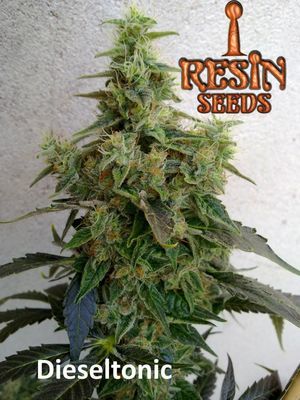 One of the newest additions to the Resin Seeds lineup, this newest cultivar comes to the market to finally give the grower the perfect balance they seek in a medicinal plant. A plant with a high CBD content which also has big colas and buds, all the while dense resin coverage and wonderful smells. Traditionally, most CBD plants have shown a sacrifice of yield and resin production in exchange for CBD content. This Hammershark strain becomes an interesting exception to that rule. Its lineage is Dieseltonic x Shark Shock. Dieseltonic is one of our own champion strains, a variety that took 3rd in 2013 at the High Times Cannabis Cup in Amsterdam. 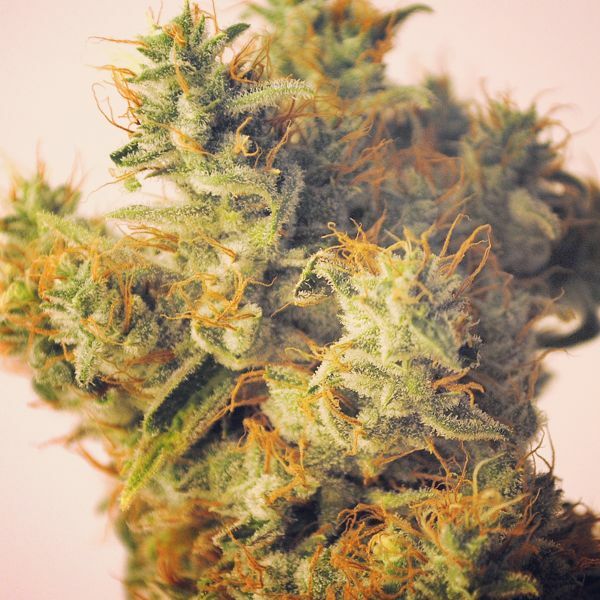 Shark Shock is a strain which comes to us from the breeding efforts of the renowned Shantibaba, from Mr Nice Seedbank. 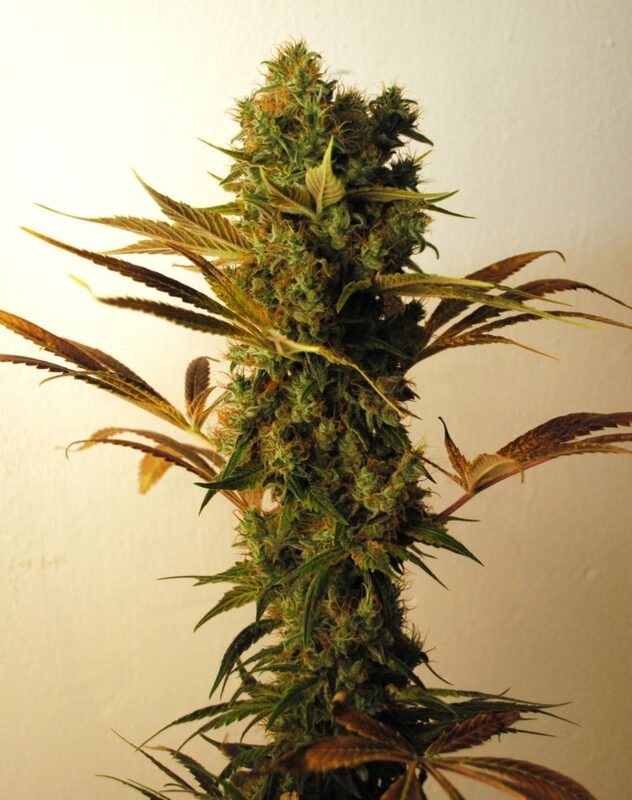 This Shark Shock strain is known to many by the name of Great White Shark, and originally Peacemaker. Acclaimed all over the world, including the West Coast of USA in the mid-late 90, where allegedly even the Wu Tang Clan members could not get enough. 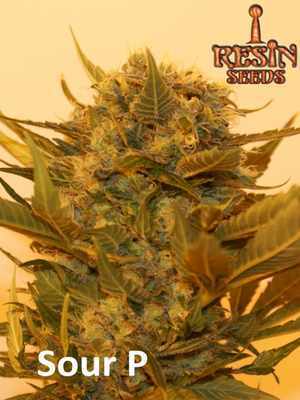 We here at Resin Seeds could think of very few other plants that would make such an interesting addition to our breeding program. Although we bred many plants with the Shark Shock, we decided upon the Hammershark strain as our favorite cross. The yields on all phenotypes were simply massive, with enormous colas and trichome coverage that was beyond insane. Then when testing came back, we knew immediately we had something interesting on our hands. 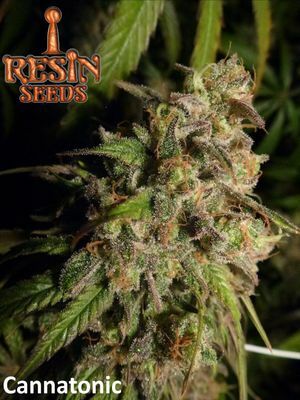 We knew there would be a lower percentage of seed to carry the CBD marker, but we were quite happy to discover that a full 50% of seed had high CBD content (we at Resin Seeds consider a high CBD content plant to contain at least 4% CBD). So essentially, half of the seed a grower plants would be CBD rich. Of these, 50% would be near 1:1 CBD:THC, and 25% would be near pure THC and the other 25% would be 25% near pure CBD. One of the most interesting aspects of this plant is the beautiful colors and tones the plants gives throughout its life. Some of these marvels are available for you to see while you browse thru the pictures for this strain. Typically, a grower will see a change in colors of the plant as temperatures rise or fall in the the growroom. However, Hammershark will provide stunning images for your eyes to marvel upon in any growing condition. Outdoors, this plant is a beast. 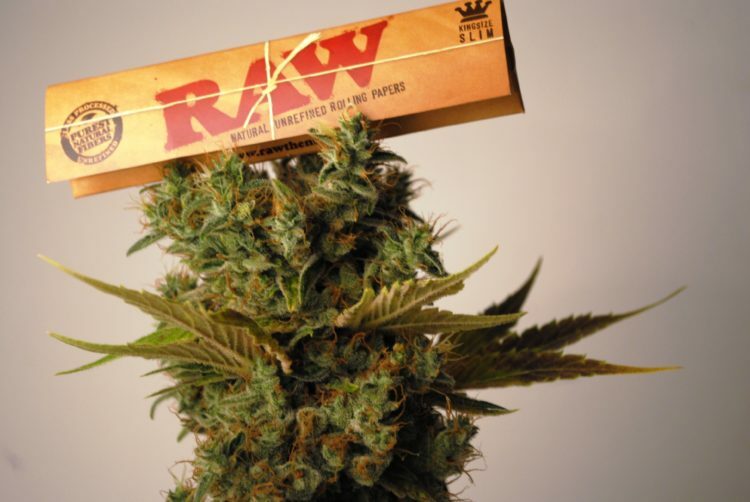 Not only for its tremendous production and smell, which can be quite overwhelming; but also for its ability to fight off pests and disease like PM, largely due to the CBD content and always relying upon a healthy condition in the plant. 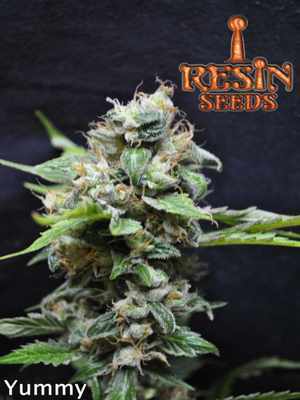 A heavy, dense yielder, the strain Hammershark is the newest addition to our CBD lineup at Resin Seeds. This Dieseltonic x Shark Shock (MNS) hybrid is truly one of a kind. 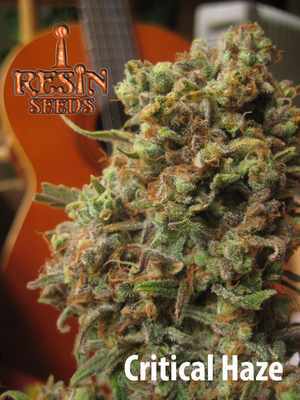 Massive amounts of resin make for great extracts or oil production. Due to its lineage, there will be an extensive amount of plants per pack that possess high CBD markers. Compact buds with aromatic undertones that linger in the air with elegant delight. A sure winner!